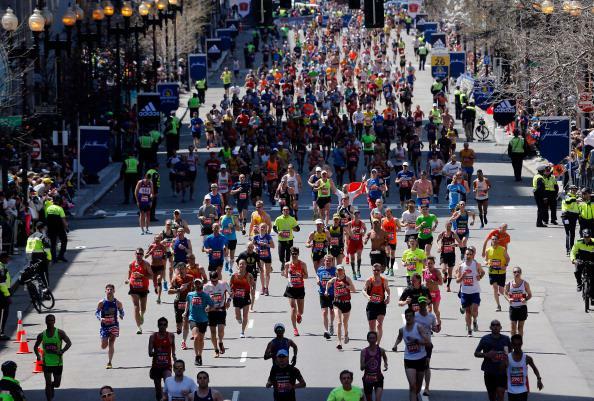 Boston Marathon bombing terrorism insurance: Why businesses don't qualify. Near the finish line of this year’s marathon. The Secretary of the Treasury Jack Lew has not certified the attacks as an act of terrorism for these insurance purposes, a requirement under the wording of the Terrorism Risk Insurance Act (TRIA). “The Secretary has not determined that there has been an ‘act of terrorism’ under the Terrorism Risk Insurance Act,” a Treasury spokesperson emailed on Thursday. So why is that? Because America’s post-9/11 terrorism insurance law defines a terrorist event as one that causes more than $5 million in damage. And while stores that were ordered to close by police in the days after the bombing certainly suffered losses as a result of a terrorist attack, they apparently didn’t suffer enough to reach that certification mark. It’s a problem exacerbated by the fact that some didn’t have policies that covered lost income—which, if my reading of the law is correct, would mean that any harm they suffered doesn’t count as an “insurance loss” under the federal law and thus does not contribute toward the $5 million total.